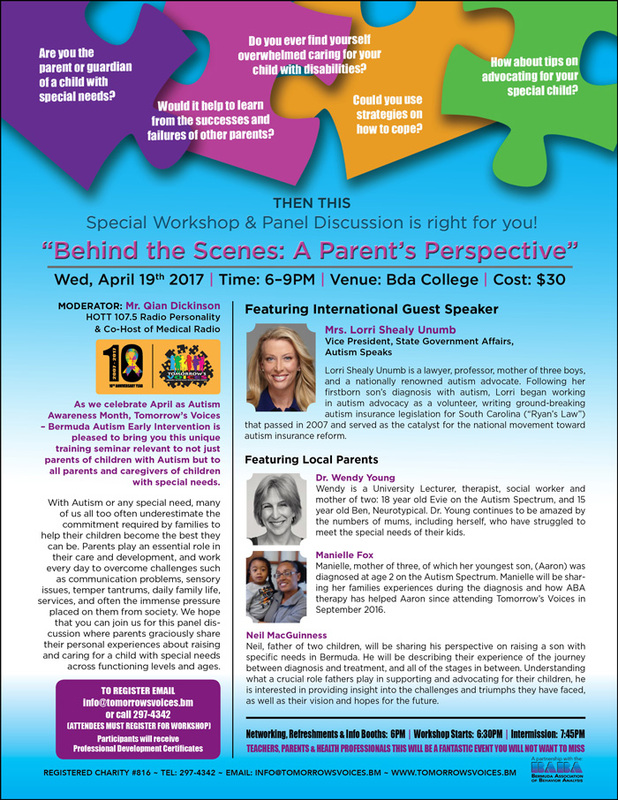 Tomorrow’s Voices Autism Centre will be hosting a special workshop and panel discussion entitled “Behind the Scenes: A Parent’s Perspective” on Wednesday, April 19 featuring the viewpoints of both international and local parents of children with autism and special needs. 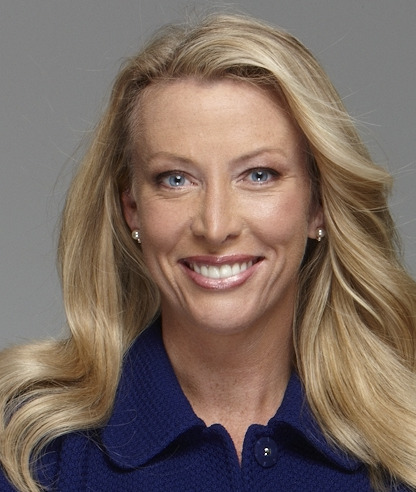 The organization said they are thrilled to feature renowned autism advocate Lorri Shealy Unumb, who is the vice president, state government affairs, of Autism Speaks. Mrs Unumb is a lawyer, professor and a mother of three boys. Following her firstborn son’s diagnosis with autism, she began working in autism advocacy as a volunteer, writing ground-breaking autism insurance legislation for South Carolina [“Ryan’s Law”] that passed in 2007 and served as the catalyst for the national movement toward autism insurance reform. In recognition of Ryan’s Law, Mrs Unumb was awarded the Autism Society of America 2008 “Parents of the Year” award [along with her husband Dan]. She was then recruited by the New York-based non-profit Autism Speaks, where she now advocates full-time on behalf of individuals with autism. As head of state government affairs, she has testified more than 100 times on health insurance issues in legislatures around the US. Mrs Unumb and her husband founded the Autism Academy of South Carolina, a non-profit, year-round treatment centre for children with autism. The husband and wife team also wrote “Autism and the Law”, the first-ever comprehensive textbook on legal issues related to autism. Her work has been profiled on CNN, NPRs “Morning Edition”, and in Town & Country magazine. She received one of three “Women Who Make a Difference” awards in 2009 from the magazine, and she is also profiled in the American Academy of Pediatrics 2013 book, “Autism Spectrum Disorders: What Every Parent Needs to Know”. The panel discussion will also feature local parents, Dr Wendy Young, Mrs Manielle Fox and Mr Neil MacGuiness, who will bring their personal perspectives of how they deal with daily challenges that come with raising special needs children. Parents play an essential role in their care and development and work every day to overcome challenges such as communication problems, sensory issues, challenging behaviours, daily family life, services and often the immense pressure placed on them from society. The panel of parents have graciously agreed to share their personal experiences about raising and caring for a child with special needs across functioning levels and ages and this unique training seminar is open to all parents and caregivers of children with special needs. The event is also the perfect event for teachers and health professionals, as participants will gain insight that will help them in working with these specials students in their classrooms or in other settings. Attendees will also receive a professional development certificate on completion of the workshop. The evening will begin with networking and refreshments and there will be information booths set up with local affiliate health organizations providing information for attendees. The event takes place Wednesday, April 19 at 6pm at the Bermuda College and costs $30. Participants are asked to register by email at info@tomorrowsvoices.bm or by calling 297-4342.